Forces loyal to Syria's President Bashar al-Assad gather at a palace complex on the western edge of Palmyra. 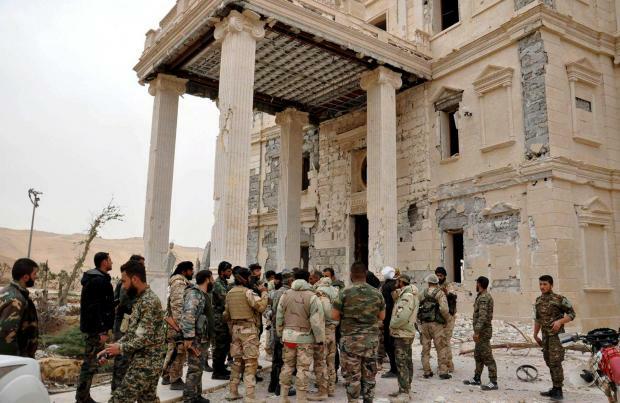 Syrian soldiers recaptured the old citadel of Palmyra overlooking the city's ancient ruins today, state media and a monitoring group said, in an offensive which could open up much of eastern Syria to government forces. The recapture of Palmyra, which the Islamist militants seized in May 2015, would mark the biggest single gain for President Bashar al-Assad since Russia intervened in September and turned the tide of the five-year conflict in his favour. "We pray for victory soon, so that the damage is limited. 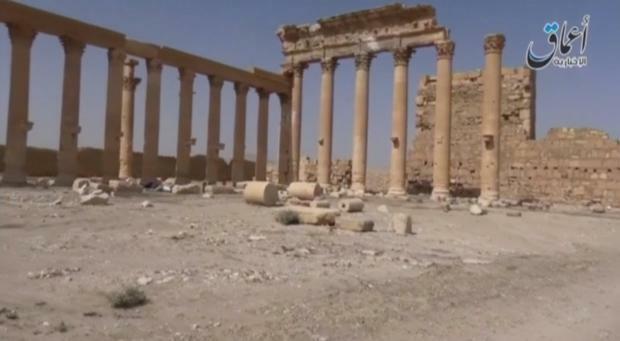 Palmyra, under their control, was the loss of a civilisation," he said. "The only choice is to liberate the city in any way possible".